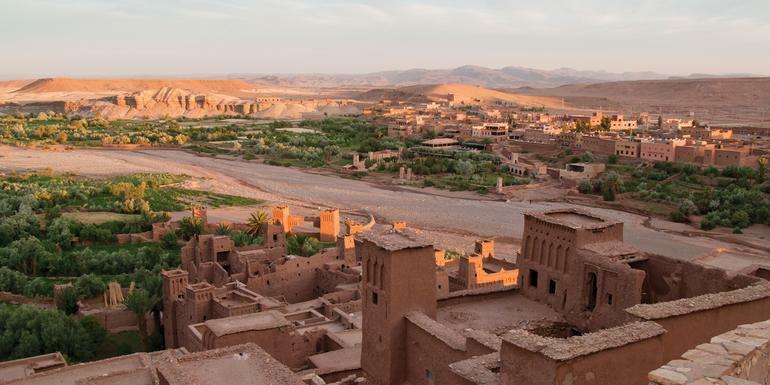 Visit a women's co-op and enjoy a local lunch, watch storytellers and acrobats at Djemaa el Fna square, learn about Moroccan cuisine with a cooking class in a traditional Berber house, traverse the Sahara Desert by 4x4, try to mimic a local expert's elegant sweeps in an Islamic calligraphy class. Private air-con minivan, walking, 4x4. 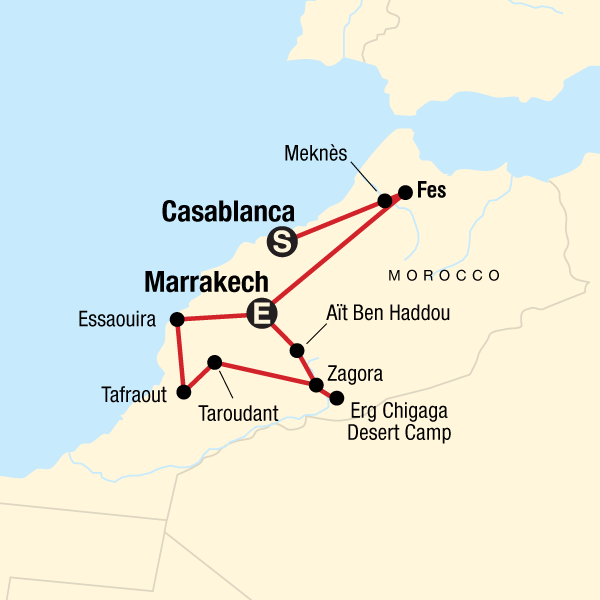 Take a guided tour of the imperial city of Meknes. Continue on to the ruins of Volubilis, the best-preserved Roman ruins in Morocco. After seeing the ruins, it’s off to Fes. Enjoy a day of leisure in this coastal city. Watch the colourful and lively spectacle of the return of the boats to the port with their baskets full of fish. Pick out the best of the bunch, which we’ll take to a local restaurant to cook up for our lunch. Opt to browse the shops and art galleries or take a stroll along the long, sandy beach. The active might choose to take a surfing or windsurfing lesson, or rent a fishing rod. Want to soothe aching muscles? Pre-book the Traditional Hammam Experience on the checkout page to include this optional activity on your tour.